Our mission is to provide you, our valued patients with a clear understanding of all the treatment options available, and then provide you with the most up to date and current treatments available. Our goal is to create a beautiful healthy smile through tooth and jaw alignment enhancing your dental health, overall health, and self-esteem. 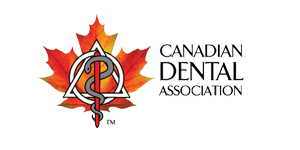 Whether you are new patient or referred by your dentist we will be happy to serve you. We have highly skilled specialist in the care and treatment of gums and the supporting structures of the teeth. 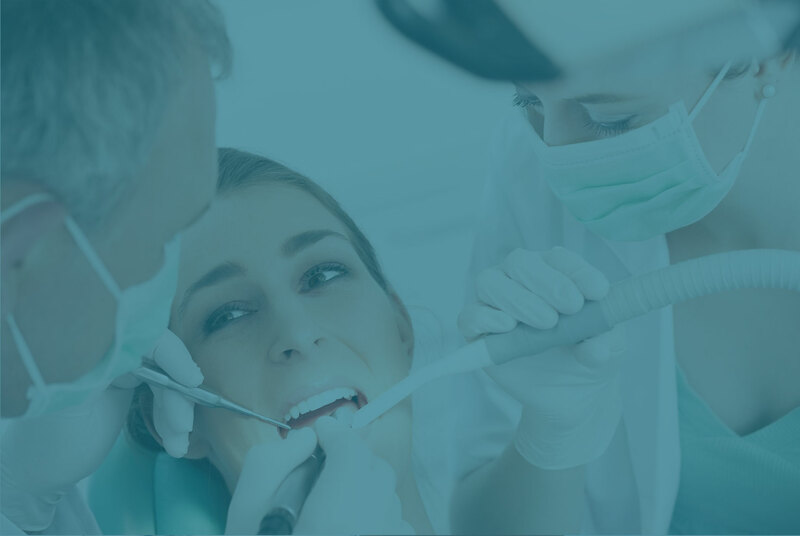 For periodontal disease and many other specialty services, including reconstructive procedures for ridges/bone and periodontal plastic procedures for tissue defects. Basic dental hygiene and teeth cleanliness are some of the most important tools in your arsenal for a happy and healthy mouth. Surrey, White Rock teeth whitening is an incredibly popular service; in fact, it’s the most requested cosmetic-dental procedure we offer. One of the nine recognized dental specialties, surgical orthodontics (orthognathic surgery) is used to correct severe conditions such as bad bites, jaw abnormalities and malocclusion. Dental implants are permanent, artificial dental roots to support artificial teeth to replace gaps in your mouth caused by missing teeth. Eating, sleeping, talking and even keeping focused at home or work with a damaged root canal or pain nerves in your teeth become consistently unbearable activities. Cavity pain is excruciating, irritating and cavities could cause further damage to your mouth and gums. 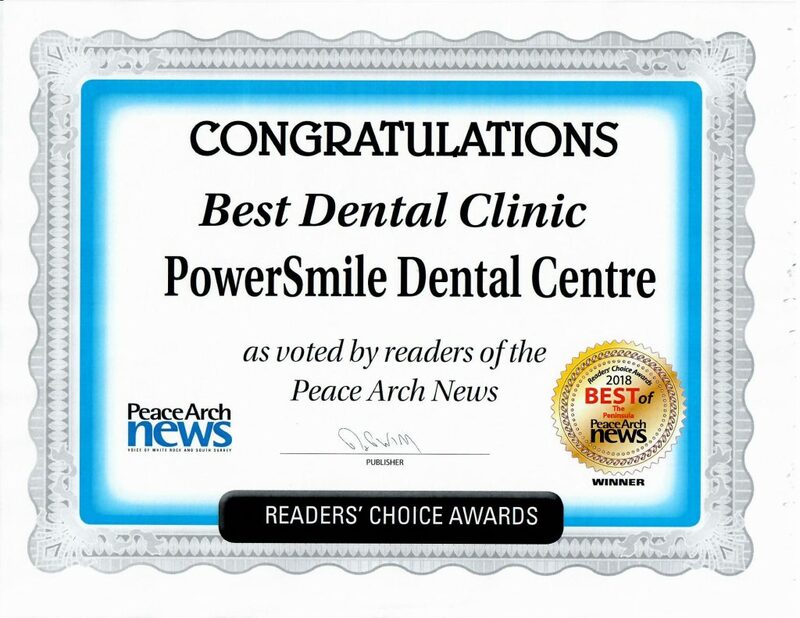 At PowerSMILE Dental Centre we work hard to treat our patients with respect, professionalism and sensitivity. We understand the expectations of the patients we serve and do everything in our power to provide an exceptional experiences, every visit. We have over 25 different procedures we perform in our dental center. More than 30 different services to offer. Over 1000 satisfied patients over the years. 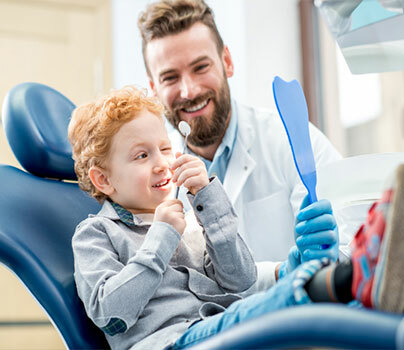 While there’s no precise age for children to begin orthodontic treatment, the American Association of Orthodontists recommends seven as the optimal age to pursue orthodontic treatment. An increasing number of adults are becoming health conscious but more and more individuals want to feel better about their appearance, too. 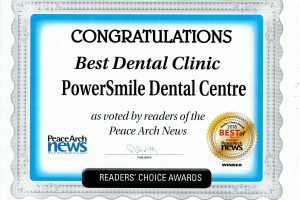 Stay up to date with all the latest in trends and technology with our PowerSMILE Dental Centre blog and news section. We will update regularly so stay tuned and follow us on social media. Please fill out the form and check for availability date and PowerSMILE Dental Centre will get back to you to confirm your appointment or make alternate arrangements. If this is an emergency please call our office.